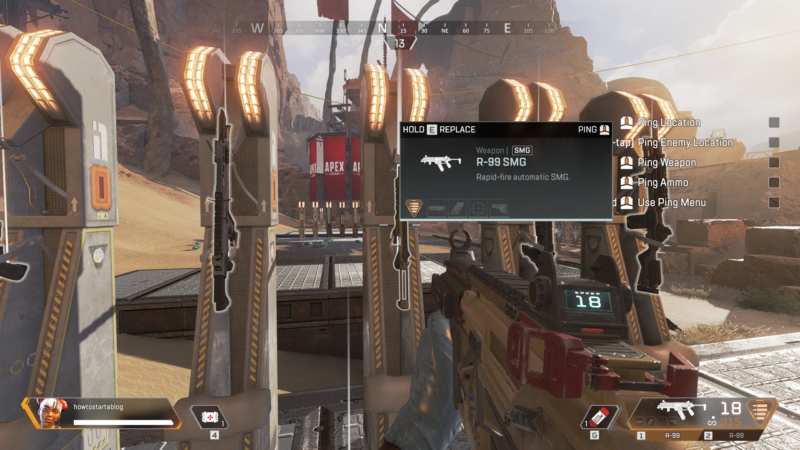 While Apex Legends has just been launched a few days ago publicly, there already exists a wide variety of different guns. Here, we will explore the top guns in the different categories including Assault Rifles, Sub Machine Guns, Light Machine Guns, Shotguns, Snipers and finally Pistols. That said, under certain circumstances, attachments may change the optimal gun for some divisions, which will also be covered in detail. When judging your weapon of choice, there are different factors that must be taken into accounts. These include the base damage of the gun, headshot damage, rate of fire, ammo capacity and the type of ammo it consumes. 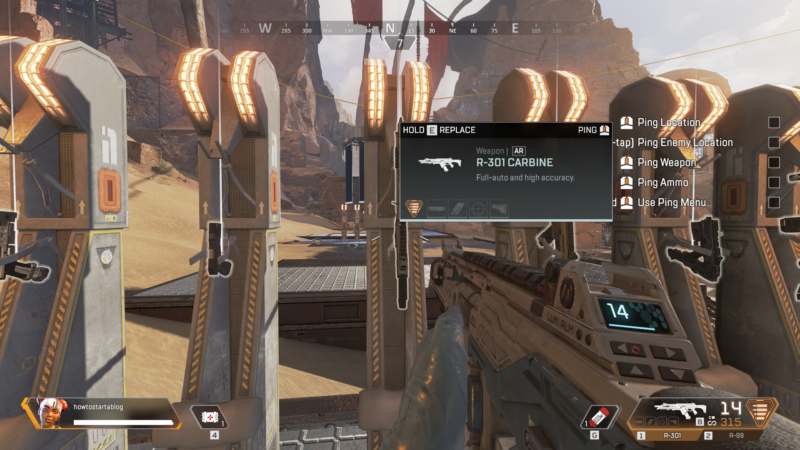 Here are the best weapons in Apex Legends. Base damage: This is the damage dealt when shot in the body, note, reduced damage areas such as legs for example are usually relative to base damage, making them fairly trivial when choosing your gun of choice. A fair base damage is key, as some guns lack killing potential in a single magazine, due to the low damage. Headshot damage: This is the damage dealt when headshots are landed. 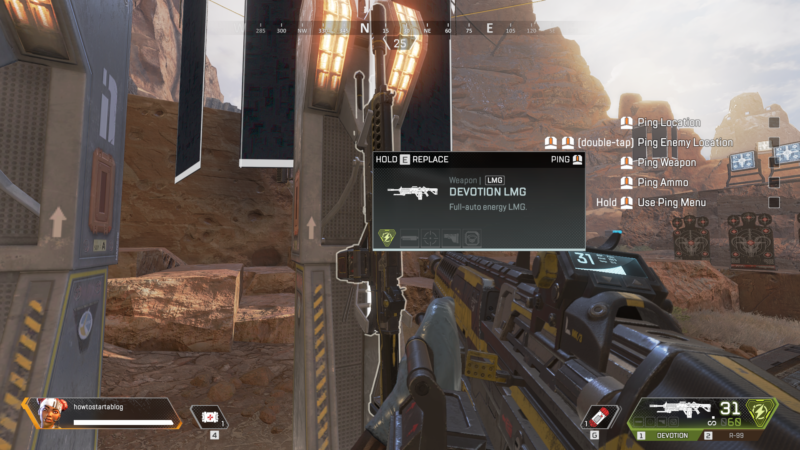 Unlike many other games, Apex Legends headshot damage mechanic changes based on the gun. For guns which are easier to land headshots with, for example, shotguns due to their fire pattern, or sub machine guns with its high fire rate, headshot damage is reduced below 2X. This makes headshot damage an essential factor that must be taken into account as not all headshot damage is the same. Rate of fire: Rate of fire determines how many bullets can be discharged / shot. This is usually measured though RPM, standing for rounds per minute. While some guns may deal high base damage, without factoring the RPM, it may get you killed in situations where both parties are able to land their shots; given you lack a high damage per minute overall. While rate of fire is important, a gun with an extremely high rate of fire may be inaccurate, or have ammunition consumption problems given the rarity of ammo in the game. Ammo capacity: This determine how many bullets a gun can fire before it must be reloaded. This must definitely be taken into account, as some guns have much better multiple kill potential, as its high magazine clip allows you to defeat multiple parties without having to reload. Reloading takes too much valuable time, given the past paced nature of the game, having a decent magazine capacity is essential in determining the best gun. Type of ammo: The type of ammo a gun consumes must be taken into account. Light and heavy ammo are the most common, and can be found everywhere. Energy ammo on the other hand is less common. On the other side of the spectrum, legendary guns require their own unique ammo which cannot be replenished, making legendary items poor in some situations especially in the early game. As Apex Legends has just been launched, some guns are obviously better than other, so it is essential you pick the best gun in each category to maximize your chance at victory. The R301 Carbine uses light rounds and while it does less damage compared to the Flatline, it has a faster fire rate allowing for better close combat success. This allows it to be the weapon of the choice earlier in the game, in close to medium combat situation given its high damage, yet good control. That said, once attachments are factored in, such as a fully kitted Hemlock vs a fully kitted R301 Carbine, the Hemlock will without a doubt triumph over the Carbine due to its high base damage. Coming in with a staggering 1080 RPM fire rate, the R-99 packs a huge punch in close range combat. While it does have the lowest base damage compared to the other sub machines guns, its fire rate is simply too good in close range situations. At later points of the game, where the “Selectfire Receiver” attachment is found, the Prowler takes the title as the top sub machine gun. Without the attachment, the Prowler remains a burst fire gun, leading to poorer overall control despite its high base damage. However, the “Selectfire Receiver” allows for full auto fire, getting rid of the weapon’s previous weakness. It allows the gun to be used in every situation, not limited simply to close ranged combat. The Devotion has an extremely unique mechanic along with its “spin up” mechanic which allows the fire rate of the gun to increase the longer it fires continuously. This makes the gun excellent for 1 v 2, or even 1 v 3 situations. That said, there are obvious downsides for the gun, mainly the consumption of energy ammo. This gun consumes an extremely large amount of ammo and the overall rarity of the ammo in the game is pretty low. On the other hand, the other light machine gun, the M600 Spitfire is also a great option. Consuming heavy rounds, the gun has a high 20 base damage, which is doubled during headshots. While it does have less rounds compared to the Devotion, the M600 Spitfire still contains enough damage to wipe out a fully kitted team even with a few misses. Without much surprise, the Mastiff take the title as the game’s best shotgun. It has an extremely high damage per bullet, which cannot even be compared to other shotguns. The horizontal fire pattern makes the gun easier to land headshots, in which the base damage is doubled until 36 per bullet! That said, some downsides do come with the gun, given its yellow legendary rarity, it consumes a special unique ammo meaning the gun has limited shots. While shotsguns are definitely poor for medium to long range, the Mastiff is the worst for these situations due to its horizontal fire. Besides the legendary item which you will rarely ever find in the game, the go-to shot gun would be the Peacekeeper. This single fire shotgun packs some huge damage, dealing over 100 damage if all shots land on the body. If the opponent does not have any armor, especially when the game just started, the Peacekeeper is an absolute monster that will dominate any gun in close range combat. The star-like fire pattern of the peacekeeper makes it one of the easiest guns to land head shots too. 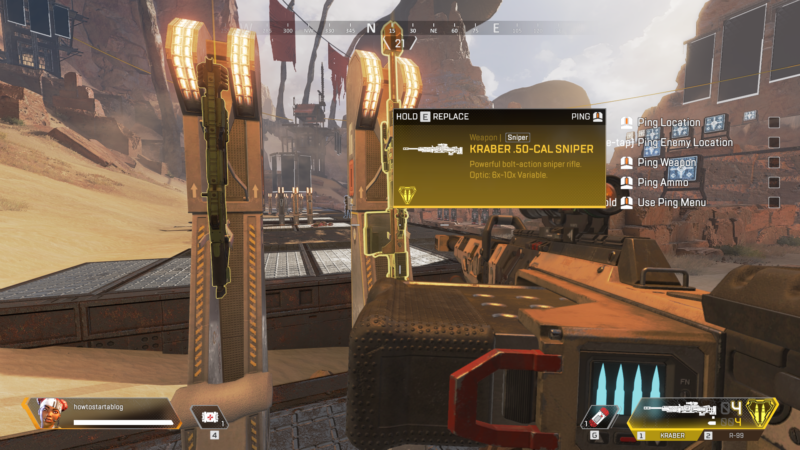 Like the shotgun, the Kraber 50-Cal Sniper is a legendary weapon which is undoubtedly the best weapon in its category. The Kraber 50-Cal does the highest damage per shot compared to other guns in the entire game, coming with a 125 base damage which completely wipes the opponents armor, or may even take them out if they are not fully shielded. In cases of headshots, where damage is doubled until an amazing 250 damage, the gun is able to one shot kill anyone. Unfortunately, like the Mastiff legendary gun, the Kraber 50-Cal only consumes a special unique ammo which cannot be found elsewhere, making it a limited-use shot gun. That said, in late points of the game, the Kraber is an absolute monster that does not require many repeated shots given the high damage. Aside from the Kraber 50-Cal, the other sniper rifles that come in close are either the Longbow or the G7 Scout. Both are good in different situations and in their own ways. The Longbow DMR is a single shot weapon with high damage, similar to the Kraber 50-Cal making it excellent for long range sniping to break some armor. The G7 Scout on the other hand, is a semi automatic sniper which can be fired without having to rescope, allowing for a higher damage over time and better kill potential overall. The Wingman is likely the most underrated gun in the whole game, while it does come in tiny packaging in the form of a small pistol, it packs a serious punch. It has an amazing high base damage of 45 per shot, which is doubled until 90 in circumstances of landing headshots. Together with its high accuracy, the gun is great in almost every situation for close and medium range combat. It’s similar to a magnum in other games. 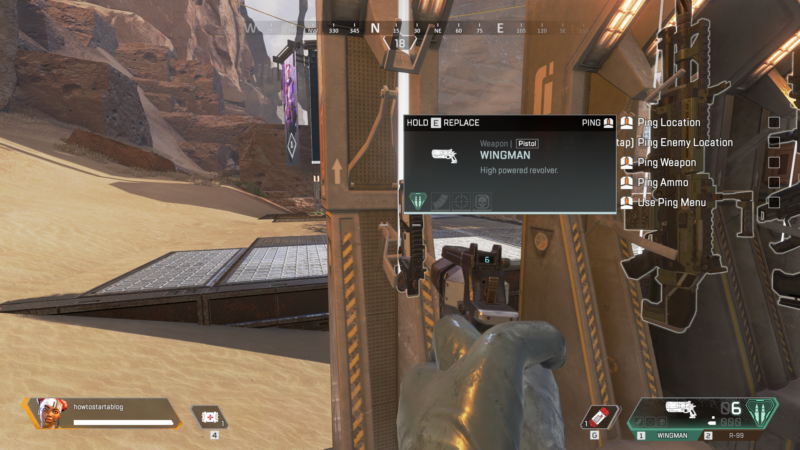 The lethality of the Wingman can be further increased with the Skullpiercer Rifling attachment, which further increases headshot damage for the weapon. For someone who is able to land their shots, especially those accurate enough to head shot, the Wingman may be the best weapon in the game. The RE-45 Auto pistol is also a great option for early close range combat given its ability for full auto fire. The high fire rate of the gun makes the RE-45 a great weapon to finish players off, especially when their armors are broken. 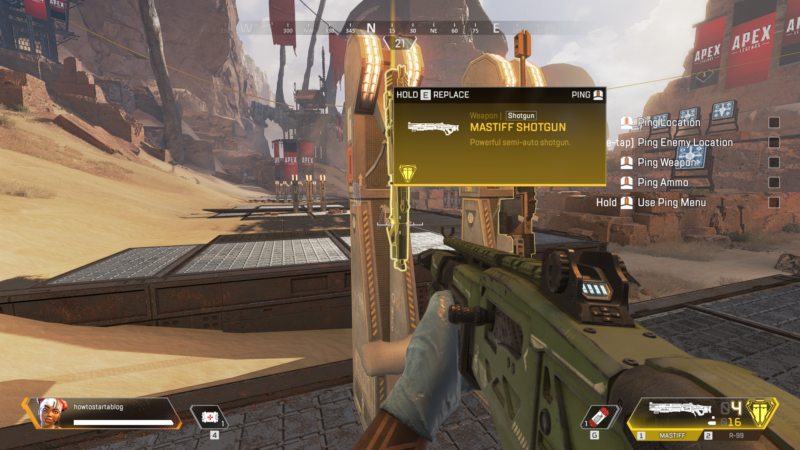 Best guns in Apex Legends? What do you think are the best weapons (guns) in this game? Do you agree with the list above? Do leave your comments below on which gun you think is the overall best.